West had a tryout with the Raiders on Thursday, Field Yates of ESPN reports. West finished Week 17 against the Raiders with one carry for a loss of two yards. West carried the ball just once for one yard in Sunday's 38-31 loss to the Seahawks. However, he also added two receptions for 37 yards and a score. West saw just one snap from scrimmage and four on four special teams during Thursday's game against the Chargers. 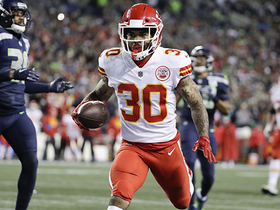 Analysis: West was inactive in Week 14 after signing with the Chiefs, but Spencer Ware's (hamstring) absence afforded him an opportunity to dress for the first time this season Thursday. Despite suiting up, West appears to be well behind Damien and Darrel Williams in the pecking order for offensive snaps. He could fall even further off the radar if Ware is cleared to return in Week 16. West is active for Thursday night's game against the Chargers, BJ Kissel of the Chiefs' official site reports. 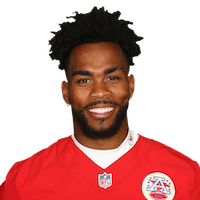 Analysis: This will be the recently re-signed West's first game for the Chiefs this season, but he has ample experience in the team's offense, having been with Kansas City from the 2015 season through the 2017 campaign. Look for him to work in a complementary role Thursday behind Damien Williams, who is starting in place of Spencer Ware (hamstring). West (coach's decision) is inactive for Sunday's game against the Ravens, Adam Teicher of ESPN.com reports. West signed with the Chiefs on Monday, Field Yates of ESPN reports. West is expected to sign with the Chiefs this week, Ian Rapoport of NFL Network reports. Analysis: The Chiefs apparently prefer West to C.J. Anderson, who also was brought in for a visit Monday. The team presumably will give Spencer Ware another shot in a lead role, but West's familiarity with the offense could make him an immediate option as a change-of-pace back or passing-down specialist. The team does also have Damien Williams and Darrel Williams in the backfield, so there's no guarantee West earns a significant role. West and fellow running back C.J. Anderson are scheduled to visit the Chiefs on Monday, Ian Rapoport of NFL Network reports. Kansas City Chiefs quarterback Patrick Mahomes touchdown pass to Charcandrick West against the Seattle Seahawks. 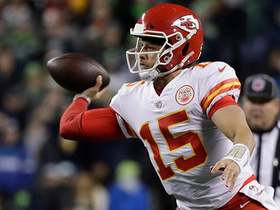 Kansas City Chiefs quarterback Patrick Mahomes makes absurd throw across his body to runnning back Charcandrick West for a 25-yard catch-and-run touchdown in Week 16 of the 2018 NFL season. 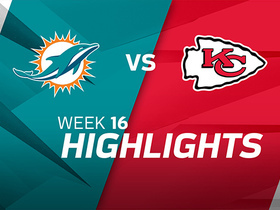 Watch as the Miami Dolphins take on the Kansas City Chiefs in Week 16. Kansas City Chiefs running back Charcandrick West uses speed to race up the field for a 25-yard gain against the Miami Dolphins. 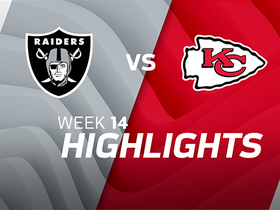 Check out highlights from the Week 14 matchup between the Oakland Raiders and Kansas City Chiefs. 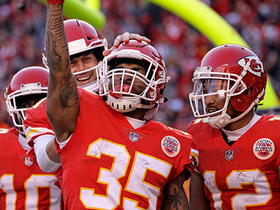 Kansas City Chiefs running back Charcandrick West gets North-South for 13-yard touchdown. 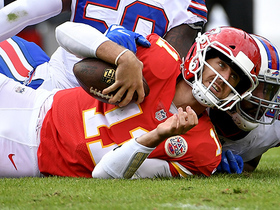 Kansas City Chiefs quarterback Alex Smith shows frustration after failing to convert on 3rd down. 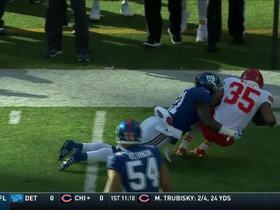 New York Giants safety Landon Collins absolutely stuffs Kansas City Chiefs running back Charcandrick West to force 4th down.